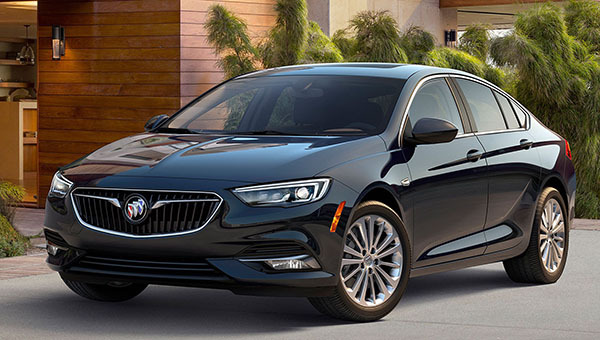 Burlappcar: 2018 Buick Regal "Sedan"
The translation from Opel Insignia to Buick Regal is a great one. The only thing I think could be improved is the "kind of old" wheel design. Otherwise, this looks really good. I think the design will appeal to regular sedan buyers. Who will just enjoy the hatchback as an added bonus. 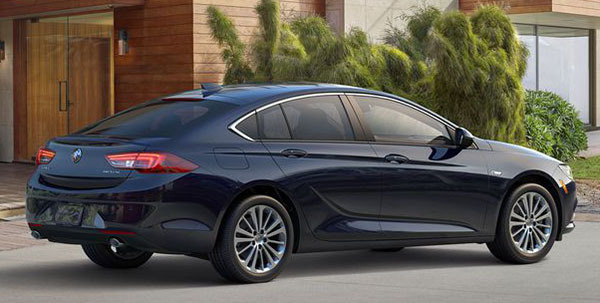 Really, a pretty gutsy move from GM in a market where this will be the only hatchback. Engine is the same as the wagon. 2.0 Liter with 250HP. But in FWD it gets a new 9 speed auto. While the AWD version gets the same 8 speed as the wagon. Exterior looks great but those interior dashboard gauges look too dated even if the intent is going for retro look. The current Regal looks way better. Looks like an Acura product.IL-TL-X sedan and wagon. If it had a normal trunk lid the deck of the trunk looks like it would be about 6 inches. I'm hoping that other manufactures get smart about this. I do think though that the back end to front passenger side photo makes the car looks a little off with the hood too big and the length behind the read window way too small. There are plenty of wheel-designs available here in Europe. The ones in the pictures are amongst the boring "company-car" models.